"The 'White Space' and the Iconic Ghetto: Challenges for Civil Society"
This event has passed. Click here to see a gallery of photos from the event. Professor Elijah Anderson is one of the leading urban ethnographers in the U.S. His most recent work, The Cosmopolitan Canopy: Race and Civility in Everyday Life, was published in 2012 by W.W. Norton. His other publications include: Code of the Street: Decency, Violence, and the Moral Life of the Inner City; Streetwise: Race, Class, and Change in an Urban Community, which earned the Robert E. Park Award for the best published book on Community and Urban Sociology from the American Sociological Association; and the classic sociological work, A Place on the Corner. Anderson has served on the Board of Directors of the American Academy of Political and Social Science and in an editorial capacity for a wide range of professional journals and publications, including Qualitative Sociology, Ethnography, American Journal of Sociology, American Sociological Review, City & Community, Annals of the Society of Political and Social Science, and the International Journal of Urban and Regional Research. He has consulted a variety of government agencies, including the White House, the U.S. Congress, the National Academy of Sciences, the National Science Foundation, and the National Research Council’s panel on the Understanding and Control of Violent Behavior. "Chicago's Big Short: Selling the Myth of Integration in the American City"
The 2013 Pastora San Juan Cafferty Lecture on Race and Ethnicity in American Life featured Sudhir Venkatesh, AM '92, PhD '97 (Sociology), the William B. Ransford Professor of Sociology, and the Committee on Global Thought, at Columbia University in the City of New York. A video of this event is available on SSA's YouTube playlist. Chicago's plan to transform public housing is perhaps the biggest urban redevelopment program since World War II. Behind the mythic claims of race and class integration, and the boasts of a new approach to urban policy, demolishing the "projects" became the means for a divided city to achieve its new identity: still divided, but rooted in the workings of the marketplace, united by the tribal logic of bootstrap democracy. Chicago brilliantly reinvented itself, as it had done so many times in its history when neighborhoods were falling apart and a citizenry was in need of hope. An expert in urban and cultural sociology and criminology/delinquency, Venkatesh's most recent book is Gang Leader for a Day. His editorial writings have appeared in The New York Times, The Chicago Tribune, and The Washington Post and his stories have appeared in This American Life, in WIRED, and on NPR. His first documentary film, Dislocation, followed families as they relocated from condemned public housing developments. "Election '12: Coming Together or Coming Apart"
The 2012 Pastora San Juan Cafferty Lecture on Race and Ethnicity in American Life featuring William Schneider, Ph.D., the Omer L. and Nancy Hirst Professor of Public Policy, George Mason University. This event has passed. 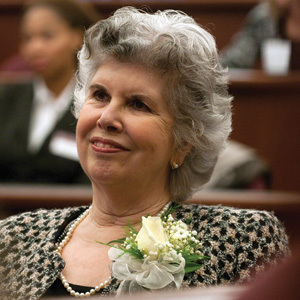 View a photo gallery from the 2011 Cafferty Lecture, or listen to an audio recording of the presentation. Follow along with the lecture handouts using this powerpoint presentation. Approximately 30 percent of the more than 68 million young adults aged 18 to 34 in the United States today are either foreign born or of foreign parentage. As these newcomers make their transitions to adulthood, their experiences and readiness to progress to adulthood differ significantly from one another, and from their native-parentage counterparts, including blacks and whites. For many ethnic groups, significant progress takes place from the first to the second generation. But for millions of young immigrants, a lack of legal permanent residency status blocks their prospects for social mobility. Immigrant groups experience gaps in social, economic, and legal status that are even greater than the gaps between native whites and blacks. These social and economic divides reflect three very different ways immigrants enter the country: through regular immigration channels, without legal authorization, or as state-sponsored refugees. Having an undocumented status has become all the more consequential with the failure of Congress to pass comprehensive federal immigration reforms. In the 2011 Pastora Cafferty Lecture on Race and Ethnicity in American Life, professor Rubén G. Rumbaut described how generation, national origin, and the contexts in which they are coming of age in America shape the experiences of these newcomers as they become adults. Rubén G. Rumbaut received his Ph.D. in Sociology from Brandeis University in 1978. Professor Rumbaut was a Fellow at the Center for Advanced Study in the Behavioral Sciences at Stanford in 2000-01, and Visiting Scholar at the Russell Sage Foundation in New York City in 1997-98. 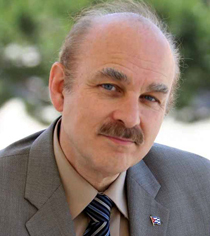 An internationally known scholar of immigration and refugee movements, Professor Rumbaut has testified before the U.S. Congress at hearings on comprehensive immigration reform, and lectured widely throughout North America, Europe and Asia on international migration issues. He is the founding chair of the Section on International Migration of the American Sociological Association, and an elected member of the ASA's Council, the Committee on Population of the National Academy of Sciences, the Committee on International Migration of the Social Science Research Council, the MacArthur Research Network on Transitions to Adulthood and Public Policy, and the Sociological Research Association. He has served on the editorial boards of the American Journal of Sociology, International Migration Review, Sociology of Education, The Sociological Quarterly, Sociological Perspectives, Journal of Immigrant Health and Contexts. Dr. Barry Zuckerman, M.D., the Joel and Barbara Alpert Professor of Pediatrics at Boston University School of Medicine and Chief of Pediatrics at Boston Medical Center presented "Health Disparities, Origins, and Opportunities," on November 3, 2010. Click here to view a transcript of his speech. His Power Point presentation may be accessed here. Audio for past lectures are available through iTunes U. The Pastora San Juan Cafferty Lecture on Race and Ethnicity in American Life is presented by the University of Chicago School of Social Service Administration and the Cafferty Lecture Committee: William Brodsky, Frank M. Clark, Neil B. Guterman, Jeanne C. Marsh, and Alan McNally. Funding for the Lecture has been provided by: Exelon Corporation, Harris Bank, Kimberly-Clark, Waste Management, and donors to the Pastora San Juan Cafferty Lecture Fund.